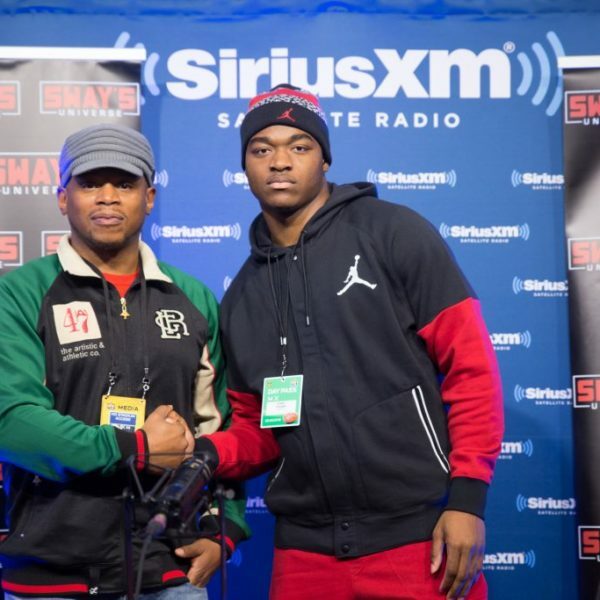 Sway in the Morning’s resident game predictor and VP of Sports at Sirius XM Steve Cohen stopped by Radio Row at Super Bowl 50 to catch up with Sway and Heather B.
Reminding Sway that he predicted the Oakland Raiders would take Amari Cooper in last year’s NFL draft, Cohen praises the rookie’s on-field dominance. With 6 Sirius XM stations broadcasting from the Super Bowl, Cohen’s eyes are full of joy as he gives his pick for Super Bowl 50. Although he was incorrect in picking the Carolina Pathers, Cohen’s reasons were legitimate as he praised the coaching of Ron Rivera and passion of Cam Newton. Giving kids memories that will last a lifetime, Cohen has no issue with Cam Newton celebrating and giving away game balls to young fans. With Emmitt Smith coming through the show at the conclusion of Cohen’s interview the Sirius XM VP elaborates on Smith’s dominant, Hall Of Fame career.